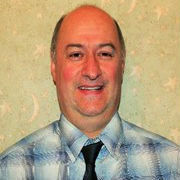 Jose is a NYS Licensed Real Estate Salesperson with Rita Levine Real Estate. Born in Colombia, Jose was attracted to the Mid-Hudson Valley by the magnificent Shawangunk Mountains and the beautiful four seasons. He settled in the area over 30 years ago and feels truly blessed to live and work in such a wonderful and historic area. Jose is fluent in English, Spanish, Italian and French which enables him to better communicate with his clients and make them feel comfortable. Jose has enjoyed a long career as a chef in area restaurants and is a tax consultant. Jose has a passion for sports. His absolute favorite is soccer. Jose has raised his three children, Michelle, Stephanie and Danillo, here in the Mid-Hudson Valley. Jose is familiar with home renovations and multi-family investment properties. Jose has been helping his clients find homes for the past 13 years. His goal is to help make the home buying experience a pleasant and informative one and have clients who are truly satisfied. He is known for always helping other people in many ways. Jose is a member of the National Association of REALTORS®, the New York State Association of REALTORS®, the Hudson Gateway Association of REALTORS®, and the Hudson Gateway Multiple Listing Service.